Provide comfort for the family of Weiscopf Kelly with a meaningful gesture of sympathy. 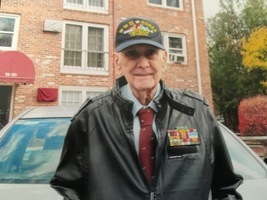 Weiscopf S. Kelly, 90, a longtime resident of North Chelmsford, passed away on March 21, 2019. He was born in Holyoke, MA on September 8, 1928 and was a son of the late William H. and Evelyn (Johnson) Kelly. Mr. Kelly was a proud veteran of both the United States Navy and the United States Army. He served in the Navy during WWII where he was stationed in Tsingtao, China as part of the Occupation Services. He then voluntarily joined the Army and held the rank of Sergeant First Class in both the Korean and Vietnam Wars. He received many medals during his years of service. After being honorably discharged in 1967, Mr. Kelly was employed for many years as a Senior Air Pollution Control Engineer for the state of Massachusetts. He was a former member of the Chelmsford Lodge of Elks. 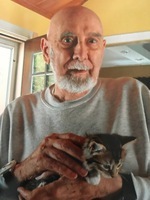 Mr. Kelly is survived by sister Ethel M. Beam of Fayetteville, AR, brother-in-law, Gary Faul of Phoenix, AZ, his niece Kathleen Foote and her husband David, dear friends Liz and Charlie, several nieces and nephews, and his beloved cat Felicia. He was predeceased by his sister Edith Faul, brother Leland Kelly, sister-in-law Ruth Kelly, and brother-in-law Charles Beam. It being his wish, funeral services will be held privately. To plant a memorial tree in honor of Weiscopf S. Kelly, please visit our Heartfelt Sympathies Store. We encourage you to share your most beloved memories of Weiscopf here, so that the family and other loved ones can always see it. You can upload cherished photographs, or share your favorite stories, and can even comment on those shared by others.